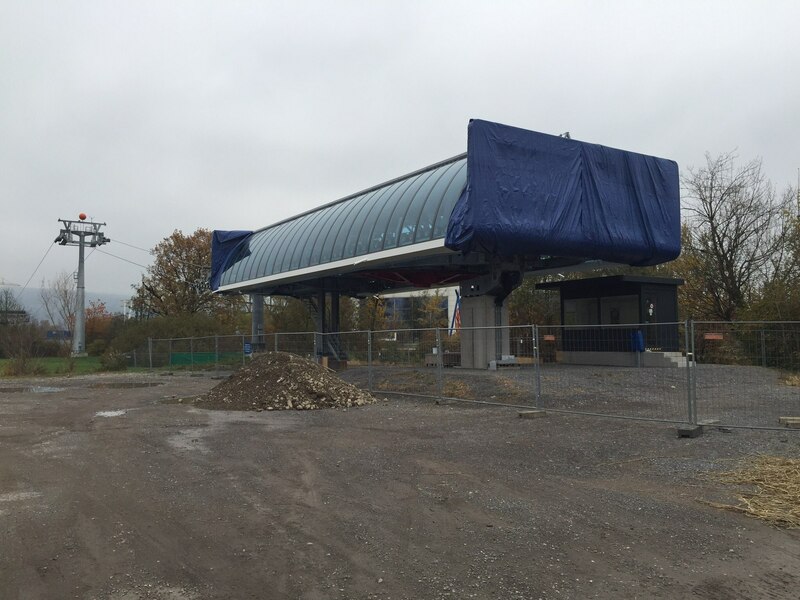 Is This Doppelmayr’s New Detachable Terminal? 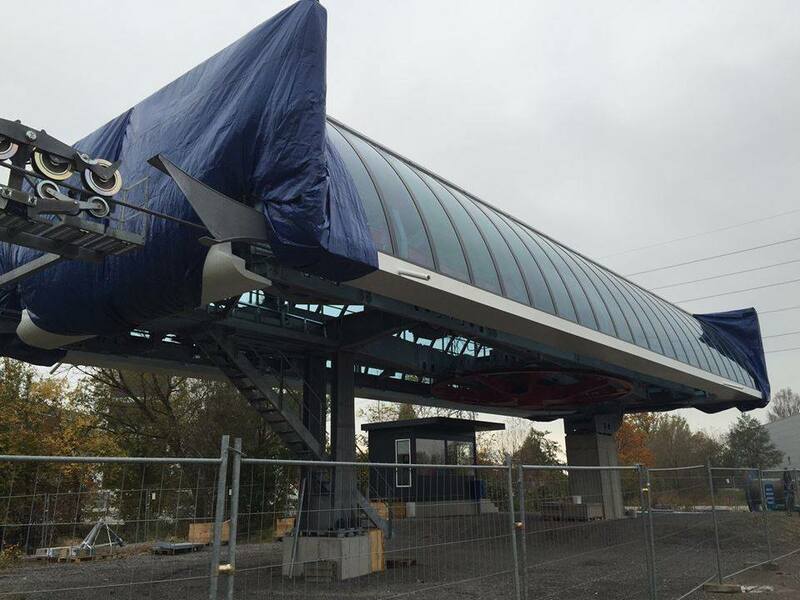 Back in November, Seilbahntechnik.net posted some interesting pictures of a prototype lift being built at Doppelmayr’s headquarters in Wolfurt, Austria. 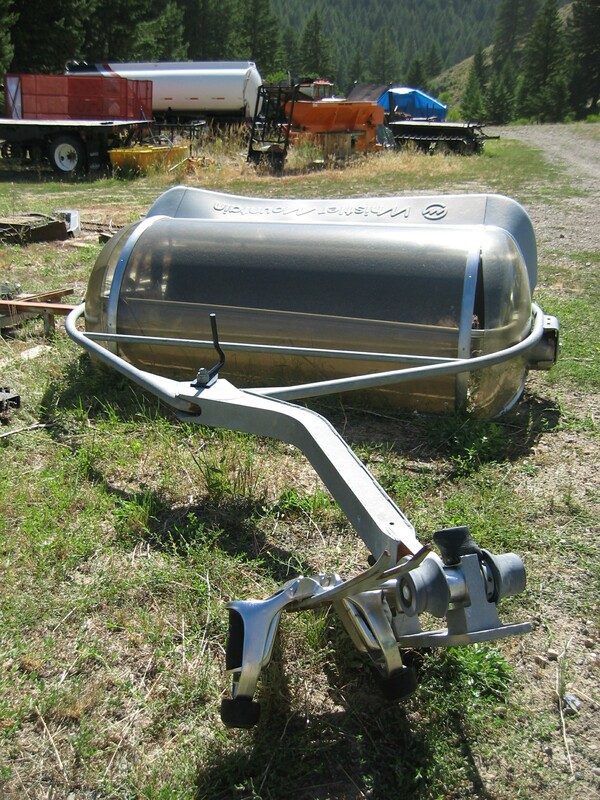 The lift is detachable with at least one six-pack bubble chair and 8-passenger gondola cabin on the line. More interesting are the terminals, which are different from any production model I have ever seen. They look similar to the Uni-G (the current standard terminal used worldwide) but are definitely different. Doppelmayr has been rumored to be working on a more economical detachable lift and this could be it. 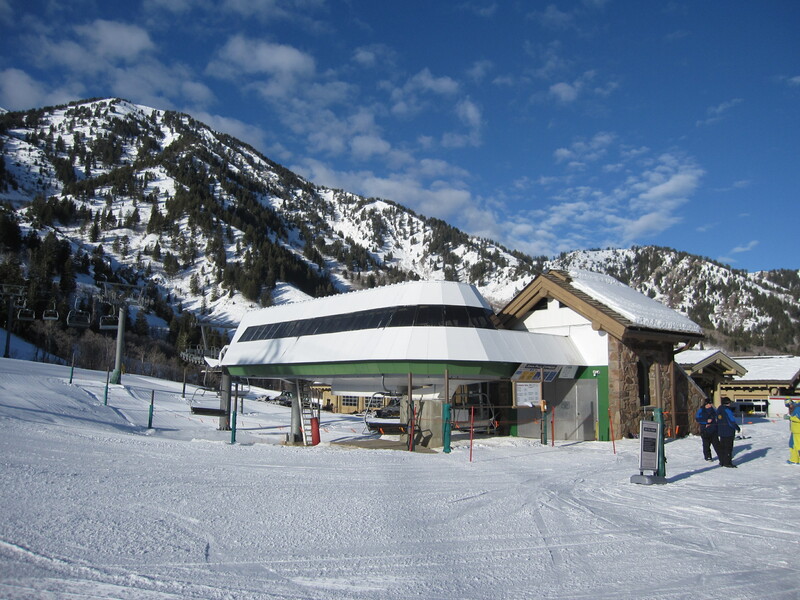 Remember Doppelmayr CTEC tried using a less-expensive detachable terminal in North America called the Uni-GS from 2003-2010. It was discontinued it in favor of the Wolfurt-designed Uni-G, which made its North American debut in 2000. The terminal model used before that, what I call the “Spacejet,” lasted from 1995-2001, so the Uni-G may be due for a refresh. 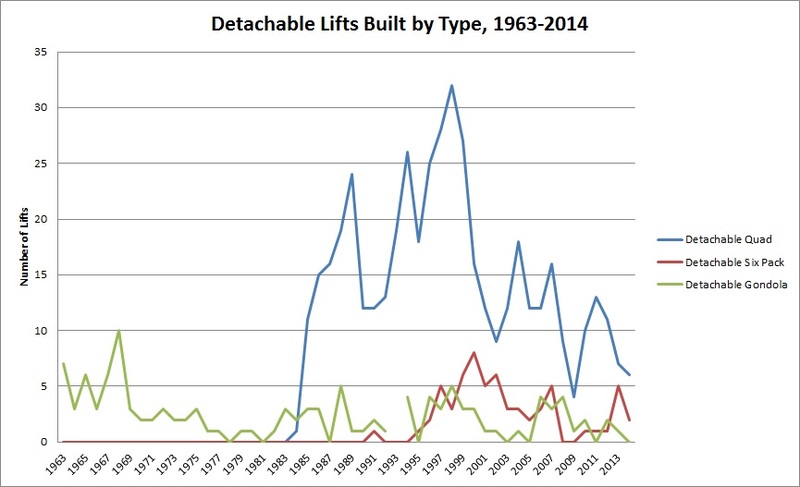 I thought it would be interesting to do a statistical analysis of the types of lifts built over time in the US and Canada and see what lifts tend to still be operating today. I previously looked at the average age of lifts in different regions of the US and Canada and found that most lifts operating today are more than 25 years old. The statistics below will show why. First I looked at fixed-grip chairlifts. 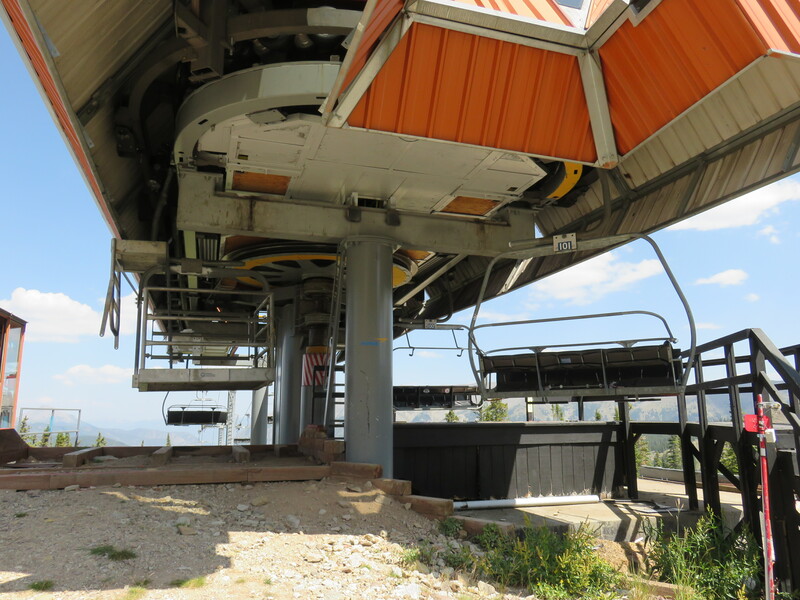 I was surprised just how long ago double chairlift construction peaked – way back in 1971, when 146 double lifts were built in a single summer. That’s equal to all lifts built in North America over the past five years. 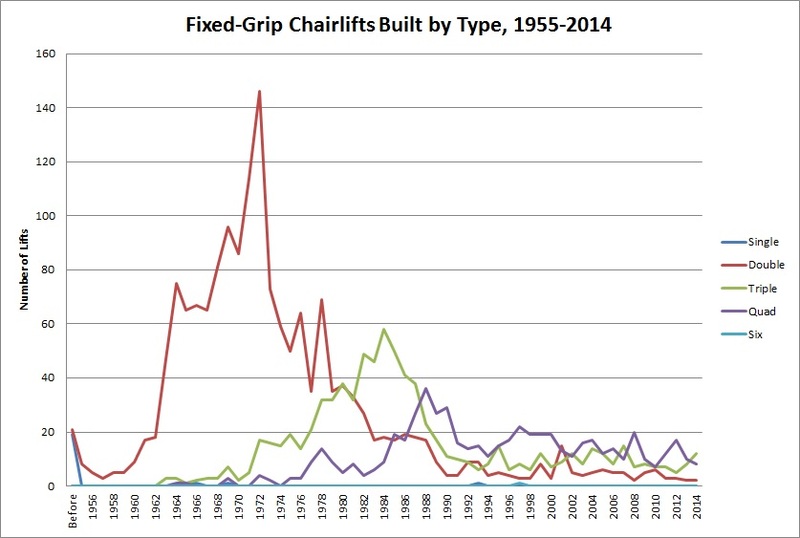 Triple chairlift construction peaked in 1984 at 58. 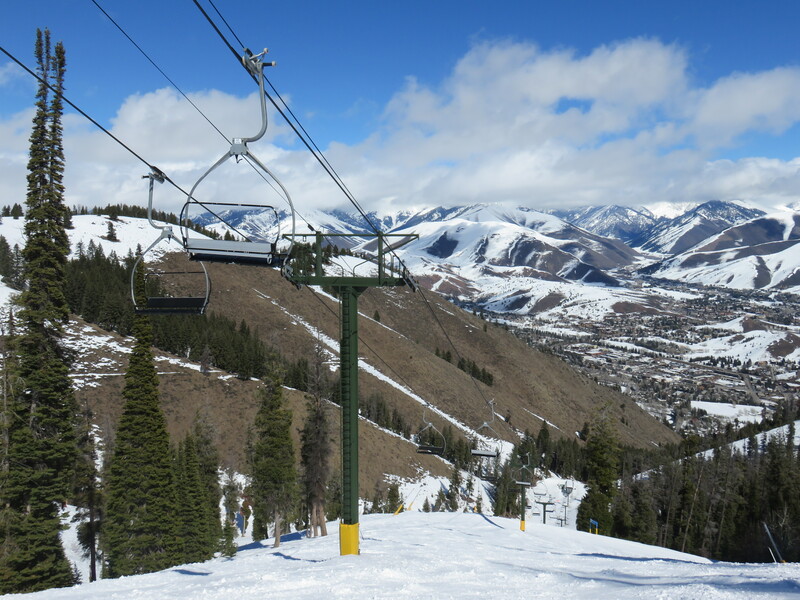 Just four years later, the most quad chairlifts were built – 36 in 1988. I would have guessed this to be much later. Since 1988, quad and triple chair construction has remained relatively constant and equal with almost no double chairs built. 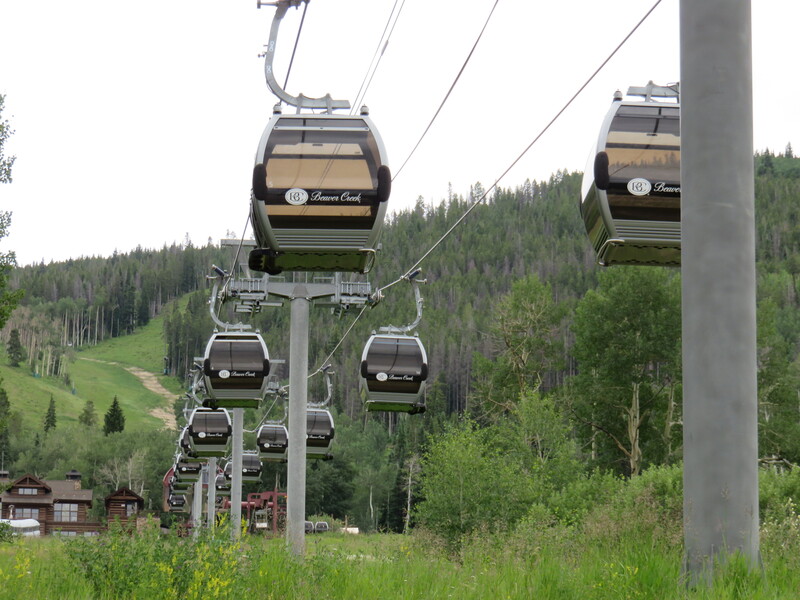 On the detachable side, the number of gondolas built each year remains fairly steady, usually under five per year. Of the 473 high speed quads built to date, most went in between 1986 and 2007. 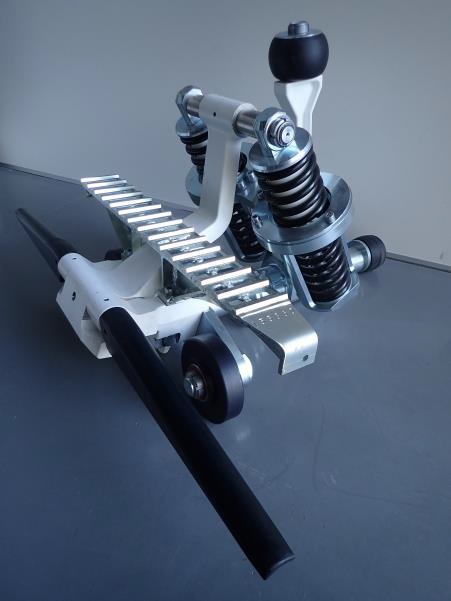 Detach quads peaked in 1998, when 32 were built in one summer. Six packs peaked two years later but have always been less popular than quads. Last summer was the worst year for detachable construction since the technology was invented; just eight were built in all of the US and Canada. 2015 will be better with at least 16 being built right now.